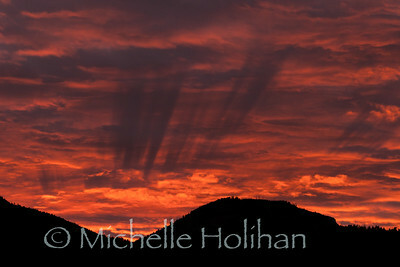 Sunset over Bunsen Peak in Yellowstone National Park. 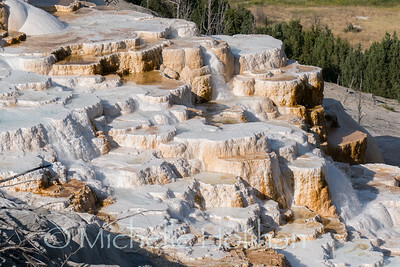 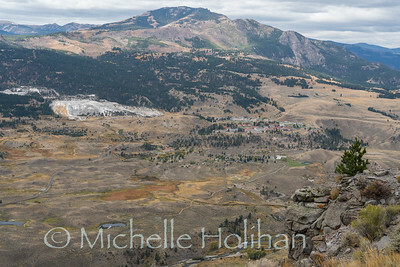 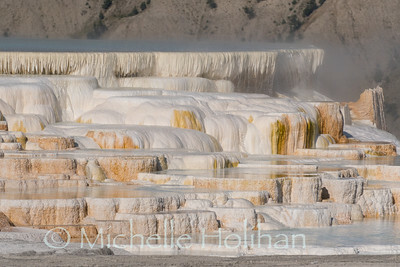 View over Mammoth Hot Springs from Mt. 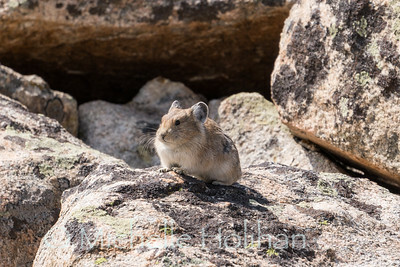 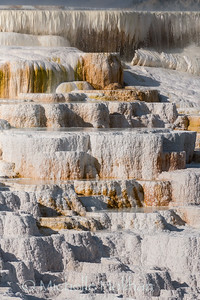 Everts in Yellowstone National Park. 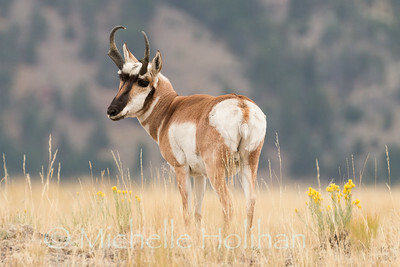 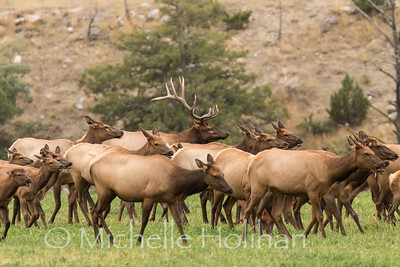 Pronghorn buck in Yellowstone National Park during the mating season. 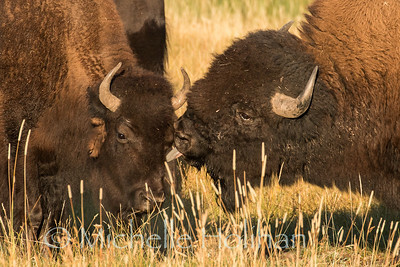 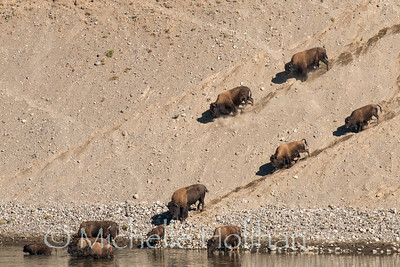 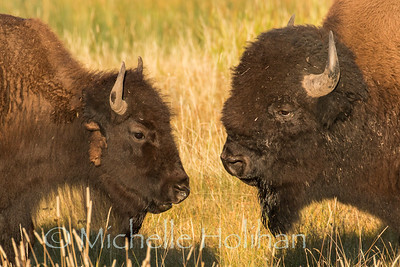 Bull bison at sunrise during mating season in Yellowstone National Park. 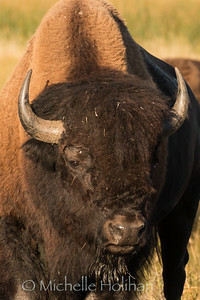 Bull and cow bison at sunrise in Yellowstone National Park. 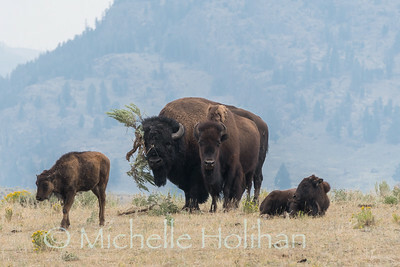 Bull bison trying to impress a cow with a giant sage brush hat. 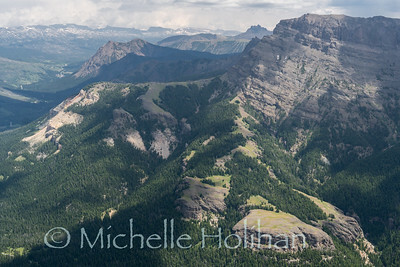 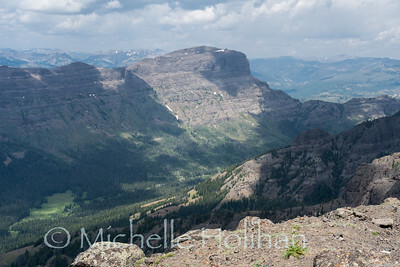 View from Barronette's Peak in Yellowstone National Park. 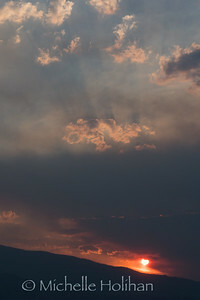 Smoke from the Bacon Rind fire in Yellowstone National Park settles over Gardiner making for great sunsets. 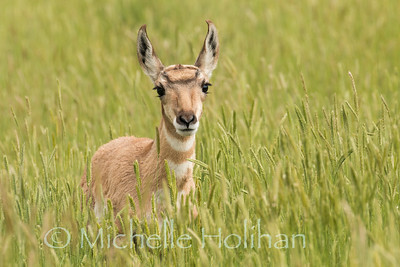 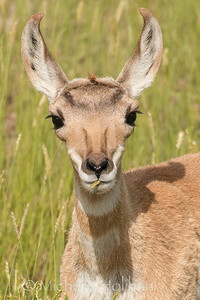 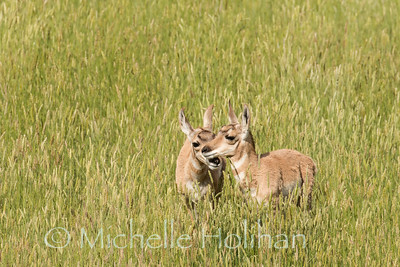 Pronghorn fawn chewing crested wheat grasss in Yellowstone National Park. 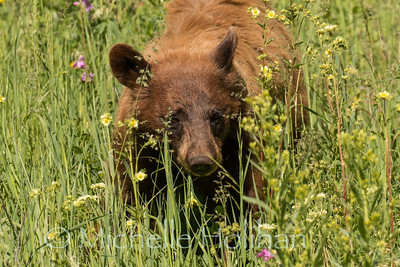 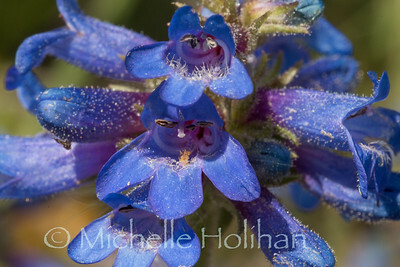 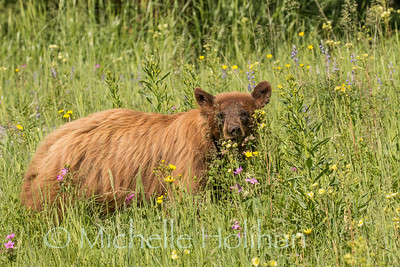 Cinnamon black bear feeding on wildflowers in Yellowstone National Park.